Serve up more than a great game at your tournament. 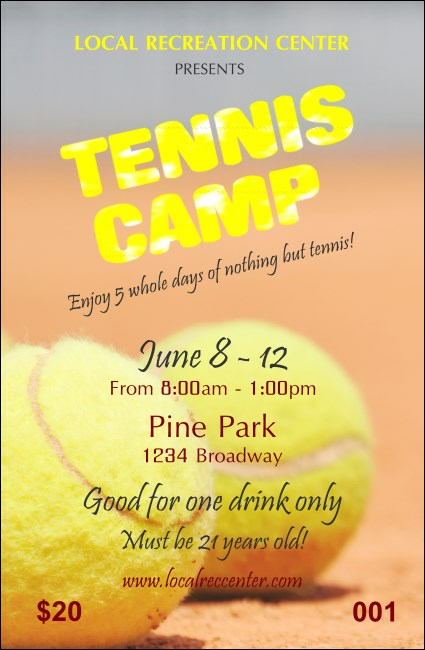 Keep the crowd cool and hydrated and distribute the Tennis Camp Drink Ticket. Two tennis balls sit on a clay court on this high resolution template, with thirteen lines for event and drink details. Offer wine, cocktails or lemonade with this design.